At Currie Truck Centre, we represent the Daimler Trucks North America product line with pride. We are a full service Freightliner Dealer with locations in Barrie, Alliston, and Bradford and a full service Western Star Dealer in North Bay. We have been serving the trucking and vocational industries for more than 30 years. 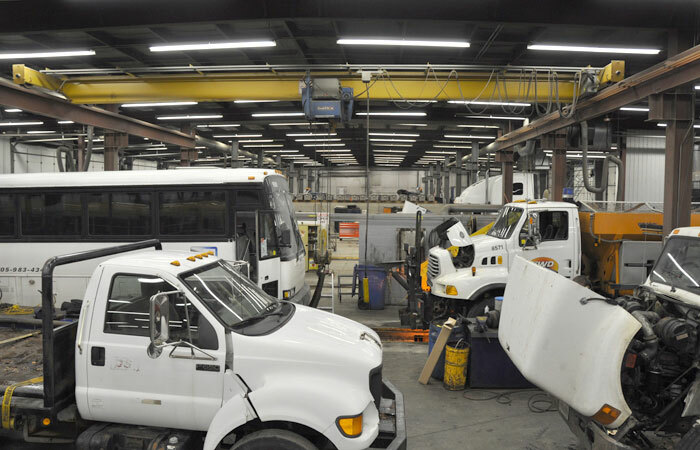 We offer onsite and mobile service, state of the art repair facilities and equipment, extensive parts inventories and factory trained staff, all to ensure that your downtime is kept to a minimum. At Currie Truck Centre, we understand that this is your highest priority. That’s why we’ve made it ours. Much of the weight of North American commerce rides with us. 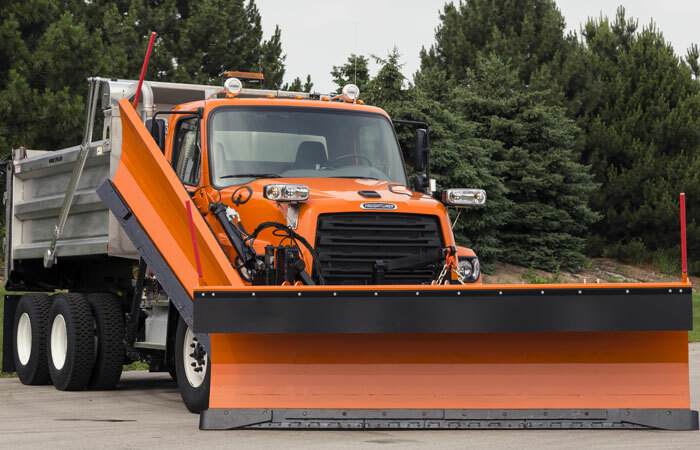 Daimler Trucks, North America's leading manufacturer of medium, heavy-duty diesel and specialized chassis trucks, ensures your load will be carried with pride. With a commitment to design, performance, and safety that is built into every detail of every truck they make. 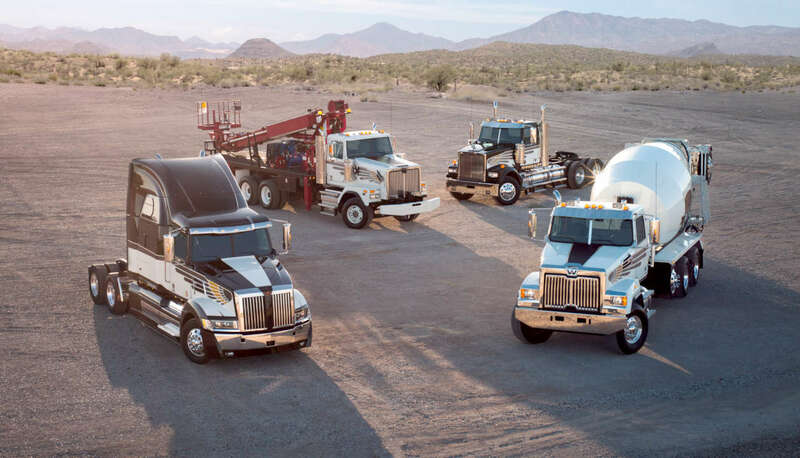 Freightliner and Western Star maintain an intense customer loyalty, first and foremost, because they out-perform not only on the road, but also on the balance sheet with accountable, measurable returns. Serving in Central and Northern Ontario, Currie Truck Centre has locations in Barrie, Alliston, Bradford and North Bay to help you keep your trucks on the road. Our Friendly, knowledgeable service staff and highly skilled factory Trained technicians are ready to offer complete repair and maintenance for all makes and models. We offer a range of services from Rapid lube, to complete engine rebuilds in our State of the art repair facilities which house extensive diagnostic equipment and tooling including; Overhead crane, VIS check; for diagnostics on brakes, suspension and steering, Drive Clean testing, and all wheel truck and/or trailer alignment. We also offer Road side service and on site repair with three fully equipped mobile service units. 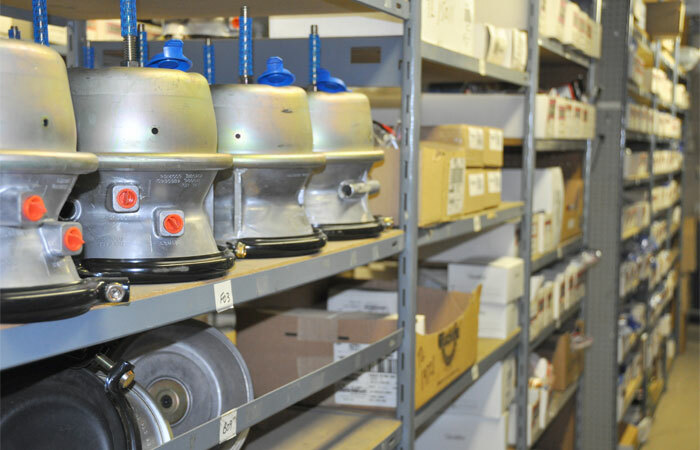 At Currie Truck Centre we have an extensive parts inventory in all of our locations and friendly, professional staff, both in house and on the road to look after all of your parts needs. Call us, or stop in today to find out more about what we can offer you. We carry a complete line of Freightliner, Western Star, Alliance, Cummins, Detroit, Meritor, MGM, Spicer & Bendix parts, and many more! We offer fast, free delivery within an expansive delivery area. Our goal is helping you get back on the road, as quickly as possible. Need help organizing your fleet’s inventory? Call today to see what our on road sales representatives can do to help you save time, and cut costs. Exceptional value, unparalleled quality. At Currie Truck Centre we sell new Freightliner and Western Star trucks. We also sell all makes of used trucks. After you find the truck you need we offer competitive finance and lease options that are compatible with your needs. At Currie Truck Centre, we know trucks. Whatever your needs are, we have the expertise and experience to ensure you have the right truck for the job. In today’s competitive environment, we understand that maximizing your uptime and minimizing your real cost of ownership are key factors to ensuring your success. Having the right truck for the job is the most important first step. Our customers can wait comfortably in an air conditioned, non-smoking lounge with access to free fresh coffee and vending machines. There is a work station with a telephone, electronics charging station and free Wi-Fi. Customers are able to watch television or read the variety of magazines and newspapers available. Local shuttle available. 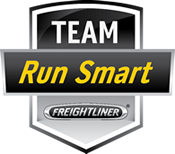 Team Run Smart is an open community for all truckers who mean business. It’s where you turn to for expertise you can use right away. You’re in the trucking industry for the long haul in more ways than one. That’s why we’re here for you whether you drive a Freightliner or not. We’re all facing increasing industry pressures – from keeping operating costs low to staying healthier on the road. As a member of Team Run Smart, you’ll get advice from fellow truckers and dedicated Freightliner industry pros that you can use to overcome the pressures you’re facing. The Freightliner Inspiration Truck is the first licensed autonomous commercial truck to operate on an open public highway in the United States, showcasing what is possible through the energy of infinite inspiration. The Freightliner Inspiration Truck is a realistic vision of the future, combining the latest technological developments already deployed in today’s modern on-highway trucks with exciting breakthroughs in safety and connectivity that hold the promise to reduce highway congestion and improve the environment.